Bicyclists can and do sustain injuries from defects and hazards in the roadway. These cases are actionable in Illinois; a lawsuit can be filed against a local town, city or municipality for injuries sustained due to a failure to properly maintain the roadway. However, in order to be successful such cases must overcome two substantial hurtles. Firstly, the injured cyclist must demonstrate that he or she was a permitted and intended user of the portion of roadway upon which the injury occurred. Secondly, he or she must prove that the municipality had actual or constructive knowledge of the injury causing hazard. Many Illinois bicyclists may be surprised to learn that they are not necessarily the intended users of many of our state's roadways and streets. 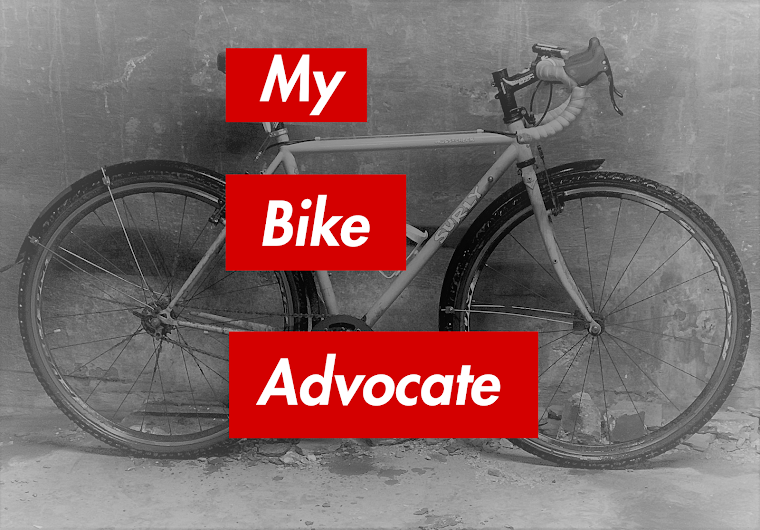 Illinois law explicitly grants bicyclists "all of the rights and . . . duties applicable to the driver of a vehicle" on roadways. 625 ILCS 5/11-1502. But that statute only makes the bicyclist a permitted user of Illinois roads, not necessarily an intended user of those roadways. The Illinois Supreme Court took up this issue in Boub v. Township of Wayne, 183 Ill.2d 520, 702 N.E.2d 535 (Ill. 1998). In that case, a cyclist sued rural Wayne Township after sustaining an injury while crossing a one-lane bridge the township maintained. "The surface of the bridge consisted of wood planking; some time before the accident, asphalt patching between the planks had been removed as part of a bridge renovation project, in preparation for the installation of a different bridge deck" Boub, 183 Ill. 2d at 522. The cyclist alleged that he was "thrown from the bicycle when his front tire became struck between two of the planks on the bridge." Id. Wayne Township, in response to the suit filed against it, alleged that it was immune, pursuant to Section 3-102(a) of the Tort Immunity Act, from liability unless the bicyclist could demonstrate that he was both a permitted and intended user of the bridge. There was no controversy that the cyclist was permitted to bike across the bridge. However, the township asserted, and the Supreme Court ultimately agreed, that he was not an intended user of the bridge. The Court stated, "In the present case, there is nothing in the roadway or bridge that would suggest that it was intended for use by bicycles. No special pavement markings or signs indicated that bicyclists, like motorists, were intended to ride on the road or bridge, or that bicycles, rather than vehicles, were the intended users of the route." Boub, 183 Ill.2d 529. The bicyclist's claim was, therefore, dismissed. Subsequent cases clarified when a bicyclist is an intended user. In Brooks v. City of Peoria, 305 Ill.App.3d 806, 712 N.E.2d 387 (3rd Dist. 1999), the appellate court held that a seven-year-old bicyclist who was injured riding on a city sidewalk was a permitted and intended user of the sidewalk and, therefore, could maintain his personal injury action against the city. The Court felt that the injured bicyclist's age was important in reaching its holding. It stated, "Common sense would indicate. . . that the nature of a sidewalk includes use by children in strollers, motorized wheelchairs, tricycles, training bicycles, junior bikes, roller blades and roller skates." Brooks, 305 Ill.App.3d at 808. Had the injured cyclist been of majority age, the Court would have ruled differently. In Latimer v. Chicago Park District, 323 Ill.App.3d 466, 752 N.E.2d 1161 (1st Dist. 2001), a cyclist brought a lawsuit alleging that she was injured when she fell from her bicycle on a municipal street that was broken and uneven. The appellate court held in dismissing the bicyclist's suit, however, that because the accident occurred in a place where there were no bicycle lane markings she was not an intended user of that portion of roadway and was not entitled to damages under the Tort Immunity Act. The bottom line is this: a bicyclist may not maintain a lawsuit against a local governmental entity, such as a city, town or municipality, for injuries sustained due to hazards or defects in the roadway unless there was present at the time of the accident some signs, markings or other clear indication that the roadway was intended for use by bike traffic. In light of the state of the law in Illinois, bicyclists are encouraged to ride in bike lanes and designated bike paths. Should you become injured while doing so due to a hazard or defect in the road, you will be able to seek compensation of the harms and losses you sustain as a result. The second hurtle a bicyclist must overcome to bring a lawsuit against a local municipality for injury caused by a hazard or defect in the roadway is notice. The relevant portion of the Tort Immunity Act states that a governmental entity "shall not be liable for injury unless it is proven that it has actual or constructive notice of the existence of such a condition that is not reasonably safe in reasonably adequate time prior to an injury to have taken measures to remedy or protect against such condition." 745 ILCS 10/3-102(a). The notion of "actual notice" is easy enough to understand. If one of the public entity's "employees has actual knowledge of the defect in question" then that entity may be found to have notice. Glass v. City of Chicago, 323 Ill.App.3d 158, 751 N.E.2d 141 91st Dist. 2001). Also, if the municipality, through its employees, actually created the road hazard or defect then it will be found to have had knowledge of its existence. In the absence of actual knowledge, the courts will consider whether the public entity had "constructive notice" of the defect. The notion of constructive notice is that even if the municipality did not know of the defect, it should have. "Constructive notice of a condition is said to exist where the condition has existed for such a length of time or is so conspicuous or plainly visible that the public entity should have known of its existence by exercising reasonable care and diligence." Ramirez v. City of Chicago, 318 Ill.App.3d 18, 22, 740 N.E.2d 1190 (1st Dist. 2000). For example, in Ramirez a lawsuit was brought against the City of Chicago by a pedestrian who was injured after tripping over sidewalk slab deviation. The appellate court upheld the trial court's finding that the city had constructive notice of the condition where a witness testified that the sidewalk slabs at the place of the fall "were separated by a height of maybe a couple of inches" and that the condition had existed there for some sixteen years prior to the fall. Id. This rule of law certainly makes sense. A municipality charged with maintaining a roadway cannot be expected to monitor the condition of the road at all times of the day and night. If you are unlucky enough, for example, to ride your bicycle into a sink hole that developed only hours before reaching the accident site, you will not be able to establish that the public entity charged with maintaining the area had constructive notice of the defect. Liability on the part of a public entity for injuries caused by the condition of the roadway must, of course, be determined on a case by case basis. The devil is always in the details. But, as a general rule, a public entity must take reasonable precautions to protect permitted and intended users, including bicyclists, from roadway hazards it knew of or should have known of.